Yup. I’m *that* excited about this book. Set in an alternate future where Earth is being invaded by a species of not-quite-humans who live on the moon and are ruled by an evil queen. 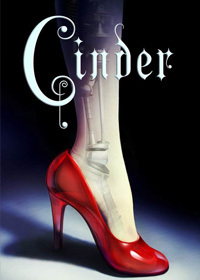 Cinderella’s a cyborg, Little Red flies a ship, and Rapunzel (soon to be introduced to the series as the title character in Cress) monitors Earth from a lonely satellite. The silver lining, though, is that Marissa Meyer is absolutely delightful. Her blog is relatable and consistently updated (yes, I stalk it), often featuring thoughts about her writing process and advice for other young writers. She isn’t shy about her past as a writer of Sailor Moon fanfiction and she participates regularly (and vigorously) in NaNoWriMo. 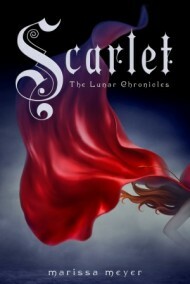 She’s also generous with content, releasing chapters of her books online for free and uploading short stories that also take place in the Lunar Chronicles world. Pre-ordered my copy weeks ago, so I could just twiddle my thumbs until it arrives, but fortunately I have plans to hold me over until next Tuesday. Stalk the blog and the tweets. 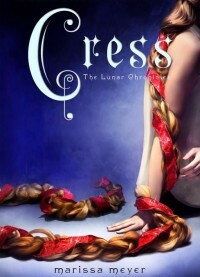 Read the posts Marissa is writing for the Cress blog tour. Read the newest short story: The Little Android. Eat, shower, and sleep. At least a little bit.